Blendini Motorsport offers car hire, vehicle set-up and driver tuition for both track and test days. 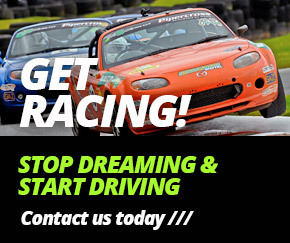 Almost all of our race cars are available for customers to drive, whether they are thinking of racing and would like to test the car or if they just want to experience driving a specific vehicle, we can arrange this for you. Getting the best from your road or race car on track depends very much on how this vehicle is set- up. Blendini offer a full track preparation service to ensure your car goes, stops and handles in the best way possible whilst also ensuring your car is safe to use on track. Please take a look at our workshop page for further details. We offer a wide range of track days at a number of circuits in the car of your choice. Below are just a few track day ideas offering great value for money. Track day at Llandow in a Mazda race car, no traction control, no ABS, no stability control! Full race car spec, 140 bhp, 875kg. Full day hire including tyres, fuel, track day fee, transport and mechanic. Buy Online and we'll contact you to arrange the date of your Track Day. Full day 1-2-1 tuition with multiple Championship winner Tom Roche. Your car is only part of the package needed to get a quick lap time, the driver is the single most important part of any track car and often the best upgrade possible is some driver coaching. 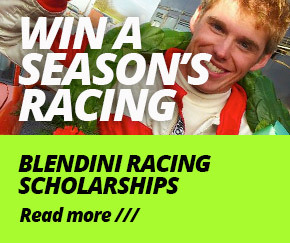 We can offer you one-to-one tuition with multiple Championship winning, Blendini Motorsport owner, Tom Roche. Tom has many years instructing experience with drivers of all experience levels and will guarantee to reduce your lap time and improve your techniques. Drive a race car around Llandow Circuit with an instructor as fast as you can. Half day experience, 20 laps, no traction control, ABS, or early rev limit. Drive real race cars on a real race track!